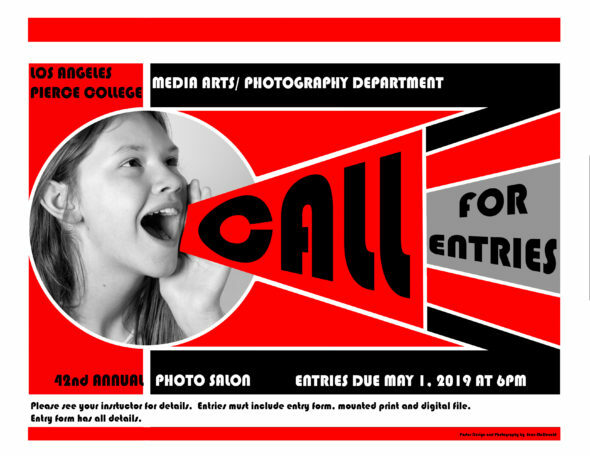 The Photography Department is now accepting entries for the 42nd annual Photo Salon. Please see your instructor for details. Entries are due May 1. 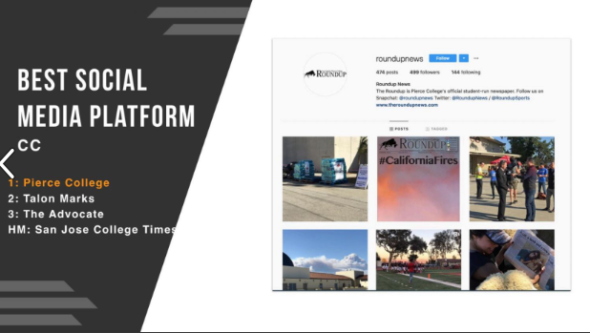 Congratulations to Pierce Media Arts students for winning the following awards from the California College Media Association: Congratulations to the Roundup for winning: First Place for Best Social Media Platform for community colleges Third Place for Best Newspaper Website for community colleges. 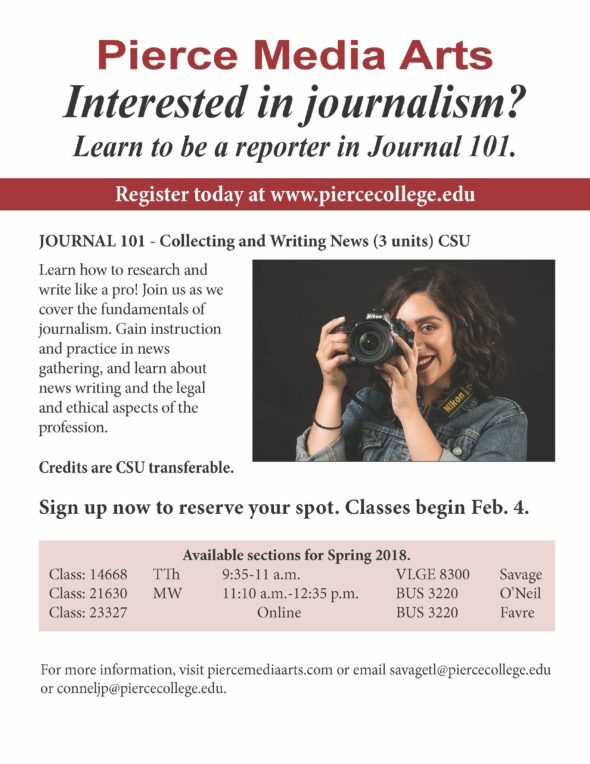 It’s time to sign up for Spring semester classes and the Pierce Media Arts Department is here to help make you succeed. Whether it’s capturing important moments as a photographer, documenting the human experience as a journalist, communicating with a public relations certificate, or telling stories as a film and television major, Media Arts classes are sure to keep you moving forward. Pierce will host Jodie Mena, an experienced camera operator and television operations manager, as part of November’s Media Speaker series. 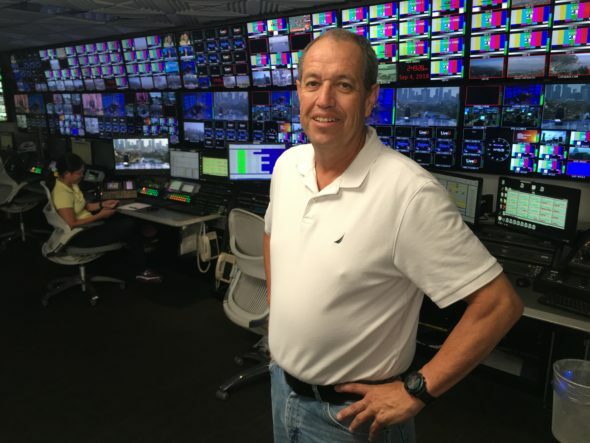 With 35 year’s experience behind the camera and soundboard, Mena will speak about his time working for KNBC and KVEA-Telemundo. Don’t miss Jodie Mena at the Great Hall, Tuesday Nov. 20 at 7 p.m. This event is produced by the Media Arts Department and sponsored by the Associated Students Organization (ASO). 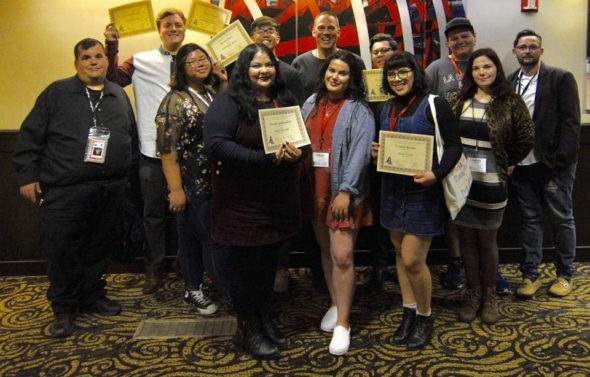 The Pierce College Media Arts Department and the Film Club will use the film series dubbed “Coping Mechanisms” to examine how cinematic characters use fantasy to cope with their own traumatic or unpleasant realities. Light refreshments will be provided and after each film a small panel will help students discuss events in the movie. 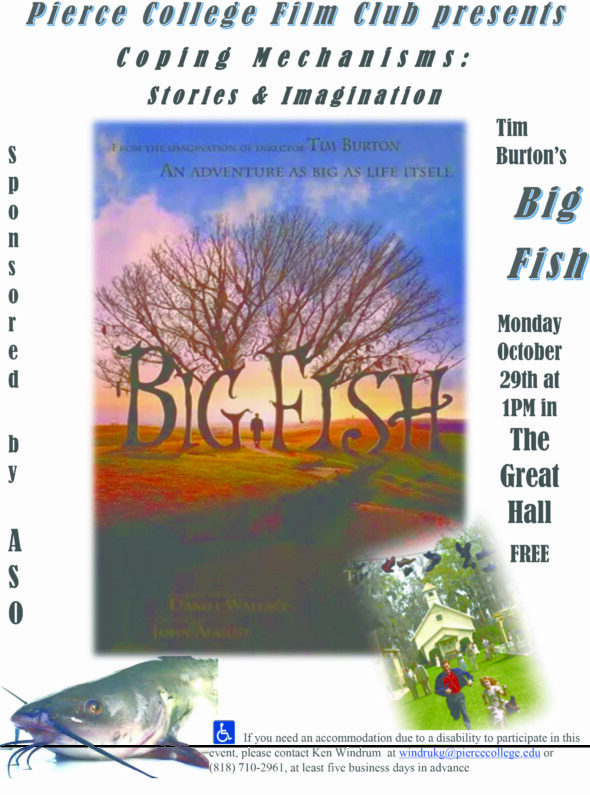 The first film “Big Fish” will be shown Monday, Oct. 29 from 1p.m. to 4p.m. followed by a panel featured Journalism Professor Jeff Favre.